A Monarch butterfly is seen during the Texas Butterfly Festival at the National Butterfly Park on Saturday, Nov. 04, 2017, in Mission. Several parks and wildlife refuges in South Texas will receive grant money as part of an effort to help the Monarch butterfly thrive across the state of Texas. Two months ago, the National Fish and Wildlife Foundation announced it had awarded 23 grants totaling $3.3 million for projects to help conserve the Monarch butterfly in North America. In Texas, the foundation awarded $236,000 to a project known as the Tri-Regional Monarch Flyway Strategy. The project extends from Houston to the Gulf Coast to South Texas and includes several local parks, including the Santa Ana National Wildlife Refuge, the Lower Rio Grande Valley Wildlife Refuge and the Laguna Atascosa National Wildlife Refuge. “The state of Texas is a critical location for generations of migrating Monarch butterflies making their journey to and from Mexico and the northern United States,” Houston Wilderness officials said in a statement. 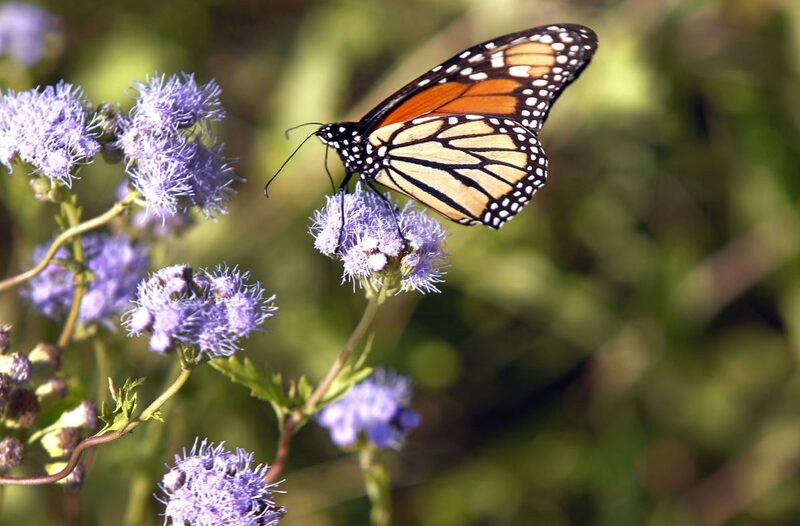 The (project) is designed to increase the quality and connectivity of the butterfly’s habitat in three urban regions throughout southeast Texas, officials said. Pollinator gardens will either be built or improved in approximately 110 acres across 50 different sites. The primary focus will be to increase the availability of milkweed and other nectar sources. High schools in the PSJA school district will also participate in the project, which will generate plenty of volunteering opportunities, officials said.